There are many reasons why the Mustang became the most successful Ford launch since the Model A, but one of the biggest is Bond, James Bond. Okay, the 1964 1/2 – the very first Mustang – released at New York City's World's Fair on April 17, 1964 – had already WAY outsold projections by the time Bond (Sean Connery) forced Tilly Masterson's (Tania Mallet) beautiful convertible off the road in Goldfinger. 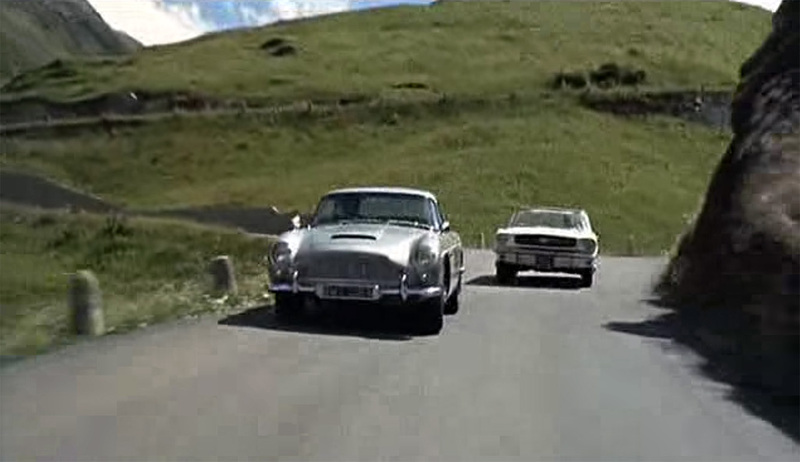 But you still have to give credit to the third Bond film for being the first to give the Mustang her big-screen break. Bond has no respect for America lol. He shredded the crap out of that beauty! When I was a kid!!! Young whippersnappers! Haha I read that after I posted and figured i would hear something like that... I was in college but still, excellent scene. That sound is pure Mustang and it really turned me onto the car. Mustangs in the Movies: "Need for Speed"